Video-on-Demand services allow customers to decide when and where they want to watch movies or TV series. The worldwide revenue of US$27.6 billion in 2018 is expected to grow to US$33.5 billion in 2023. 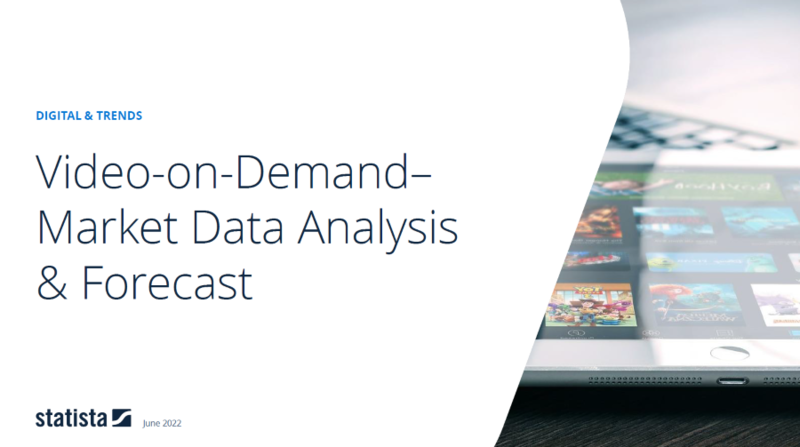 The report covers the Digital Media segment Video-on-Demand. It is defined as premium over-the-top Video-on-Demand (VoD) content, distributed over the Internet. This includes three fee-based business models: firstly, rentals as a single transaction or pay-per-view (transactional-VoD or TVoD), second, rentals as subscription-based services (subscription-VoD or SVoD) and third, digital purchases via download or permanent cloud-storage (electronic-sell-through or EST). Ad-supported content and services as well as amateur video contents are not included.